For a great day trip or over-nighter, head southeast to the Cape Fear coastal region where the USS Battleship North Carolina sits majestically across the water from Wilmington’s historic district. This authentically restored ship is now a powerful memorial and museum housing a large collection of items showing what life was like, daily and in combat, for the crew at sea. Once considered the world’s greatest sea weapon, this magnificent ship participated in every major naval offensive in the Pacific area of operations from the time of its commission in 1938. After being decommissioned in 1947, the ship was sent to New Jersey to become part of the Inactive Reserve Fleet. When it was eventually scheduled for scrap, North Carolinians began a statewide SOS – Save Our Ship – campaign that brought the USS Battleship North Carolina home in 1961. On April 29, 1962, the ship was dedicated as the state’s memorial to its WWII veterans. Tours are self-guided, allowing visitors to set their own pace. 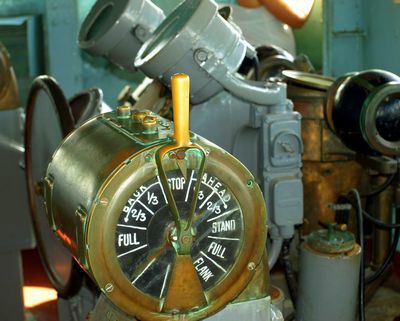 Expect to spend about two to four hours looking at the numerous displays and reading information along the well-marked path throughout the ship. The Visitor’s Center, Main Deck, and portions of the Main Deck’s interior are wheelchair accessible. Other areas are not. Be advised that visitors reach the lower and upper decks the same way sailors did, on narrow metal stairways, that’s why I recommend ditching your heels and wearing sturdy shoes. It’s best to begin the tour at the Visitor’s Center, where you’ll watch a brief orientation film and see several exhibits. On board, portions of nine decks are open allowing guests to enter gun turrets, inspect the bridge, view officer and crew quarters, the sick bay, engine room, and many other areas of the ship. All museum original artifacts come from the ship, with hundreds of compartments left intact from the time of decommission, and from individual donors* who have been donating items since 1961. 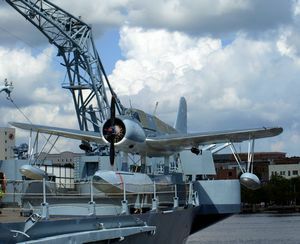 A Vought Kingfisher, one of seven remaining float planes in the world, is also on display. The Roll of Honor, on the ship’s Main Deck, is a memorial displaying names of more than 10,000 North Carolinians from all branches of the armed forces who died in service during WWII. The names are grouped by the county they enlisted in. All NC counties are represented. This area is wheelchair accessible. Additionally, the site features a canteen, store, and picnic area on the Cape Fear river overlooking Wilmington’s historic district. The ship holds events, holiday events, and special ceremonies throughout the year. Check the calendar of events on the web site. Planning a wedding or your own special event? The ship is available to rent. Call for details. Because the site serves as a memorial, the USS Battleship North Carolina is open every day, including holidays. Winter hours (Labor Day to Memorial Day) are 8 a.m. – 5 p.m. Summer hours are 8 a.m. – 8 p.m. Accessible parking is available. 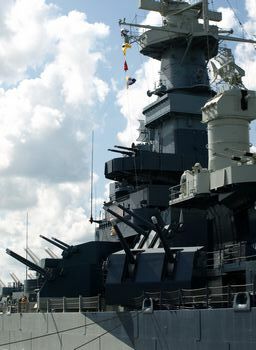 The USS Battleship North Carolina is located at One Battleship Road, Wilmington, about 125 miles southeast of Raleigh. Click on photo for artifact donation info. The Museum Department is actively seeking artifacts directly associated with ships named North Carolina and artifacts typical of those used on the ships or by crew. No item is insignificant. To donate items or for more information, click on the photo above for an e-mail link.